Are you disappointed by Google image search results? Were you were looking for images with particular criteria but ended up with mess. One of the most unwanted feature of Google image search that it shows thumbnails preview and we need to click on that thumbnails to get the actual image. More ever there are very few options available to minimize your search criteria and optimize the results. Apparently, Google has started giving lot of options while searching for images. Either go to this link or Click on Advance Image Search besides search button. Google too is trying hard to optimize it’s each results. 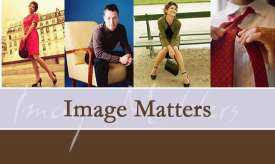 Google labs has introduced Google image labeler, which will allow real people to tag the images. Basically its a game where you and your random partner tries to identify an image with labels in a given period of time. If your partner has common guess with you then team will earn some points. Unfortunately these points aren’t redeemable but you can get your name in top contributors of the day. Try out this game and help Google to enrich there database and increase image relevancy. 1) Go to Google Image search. Try searching for anything. Lets say yahoo. 3) Press enter for flying images.